Thanks for the updates. However, past announcements suggested bringing an external battery, not a charger. 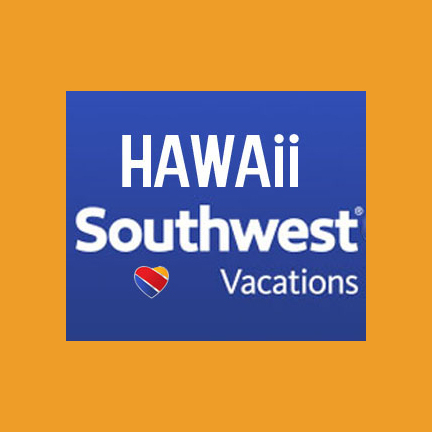 thank you for providing updates on Southwest Airline status on their Hawaii services. It has been a while now since I have heard anything about SW flight from Sac/San Diego direct and service to LIH. just wondering if you have any new news to share. Love your page. What time does Southwest usually start selling tickets on these new routes? Midnight Hawaii time? Great site. Thanks for keeping the news flowing! Losing faith however that Southwest will announce new direct flights to Hawaii anytime soon now with the max-8 issues plus a general fumbling of the roll out. I think this dog has been all bark and no bite. Fares to the islands now are so much more expensive than other airlines (See delta, Hawaiian, AND Alaska). I have been hearing that the new direct routes from SD are coming any time now for nearly 18 months. Believe it when I see it. A little clear communication to customers might be a good idea so that people know how to plan their Summer. Thank you! What we were told was that additional routes would be announced by end of April and today is only the first. Understand the frustration, but hopefully that will all pan out. The prices on Southwest for flights to Hawaii are ridiculous. Literally every other carrier is significantly cheaper not to mention Southwest 737’s aren’t built for comfort so I can’t imagine a 7 hour flight on those planes considering the seats are a joke. I won’t be flying on Southwest to Hawaii. Look elsewhere for better deals and better equipment. Any ideas would be greatly appreciated – such as when I should book for presumably best fares. Have signed up for future emails. Thank you!! Carol M.
Yes it is too early for February. Also, you’re flying on Saturdays, which are almost always higher priced and rarely on sale. For your exact dates, target price is to mid $400’s and for mid-week, perhaps $100 or so less. When to buy is mostly likely late summer to fall. We’ll be posting a lot of sales and they almost always include Pacific Northwest. actually I believe they put all passengers up in a hotel and flew in a rescue aircraft… thereby not “stranding” them.. rather delaying the departure. Any possibility that Portland will be a West Coast port for PDX – Honolulu or other islands? When will flights from the SF Bay Area to Lihue become available? Also, inter-island to Lihue? Planning to fly Sacramento to Kauai on Friday August 16, then to maui on August 23, and back to Sacramento August 30. What are our chances for decent prices? Do you know anything about when Lihue flights will begin? We’re planning a group trip to Kauai on July 29th. We have included everything we know at this time. Gut feeling is good on this. I am hoping flights to Lihue start real soon too. Going in June. We’re all waiting to know the answer to this. Chances are good, that’s all that we know. I’ve already booked OAK-HNL for June 20th. Hoping to reschedule to LIH as soon as the flights are posted. I check 2-3 times each day, hoping to catch the best price and use the extra credit to book my LIH-HNL flight on the 27th. Please, When will South West start flying from Maui to Kona and Kona to Kauai and estimate of fares. we are going in March – April 2020 from Nashville to Maui then Kona and Kauai and home to Nashville. We have stated everything we possibly can right now. More news soon. My family and I are trying to come back home to Maui this summer for a month or so. 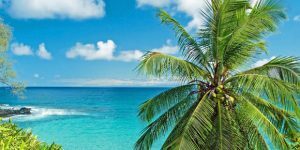 We live on the east coast and will take the most affordable flight (read… budget airlines) ANYWHERE on the west coast to then (hopefully) get a good deal on a flight to OGG. I’m having a heck of a time trying to find any deals at all. We really don’t have any preference on departure airport. We could fly from San Diego all the way up the coast to the out of the bay area or even out of Portland or Seattle if that’s more affordable. Any pointers for us? There has got to be better deals that $400 per ticket round trip?! I was really hopeful with SWA entering the market I’d find some deals. There should be lower airfare prices coming out in next two weeks for spring. And that will cover most of last week of May, except towards the weekend. The return however, won’t be included and won’t be cheap – end of June/beginning of July is going to be expensive. See what happens on the outbound. Likely best-priced west coast cities remain San Jose, Oakland and San Diego. Thanks so much. I really appreciate the response. 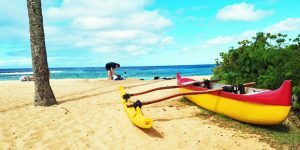 When will there be flights from Honolulu to Kauai? We’ll probably see better prices in the next couple of weeks for mid-week travel the first week of June. After that we’ll move into high season and really you can’t expect any improvement. Best guess for that mixed high and low season trip is about $500 or for mid-June and beyond high season airfare will be in $600’s. I emailed you a few days ago but I forgot to add which city flying out of . I resubmitted but it didn’t seem to go through. I thought I’d try again. 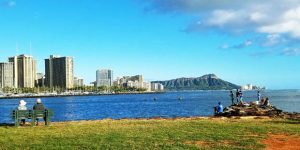 We are looking at Dec 27 2019 – Jan 3rd 2020 From Portland Or to HNL. What kind of rates do you think I will find as I get closer? Thank you for all your great Info. We did reply and it was as follows. If we’re missing anything though, please advise. I’m interested in traveling to Tampa from Honolulu. When will Southwest do connecting flights from Oakland? I will be traveling in June 2019. If there are no connecting flights I will need to pick up my bags at baggage claim in Oakland and bring it to their ticket desk and check in again. I tried to book a flight to Tampa but it didn’t work. Could you please find out when I will be able to book my flight all the way to Tampa from Honolulu. I would really appreciate it. Thank you! We’ve already answered your question specifically. That will not be happening now or at any time in the near future. It could be many months to years. Thanks for all the great info! 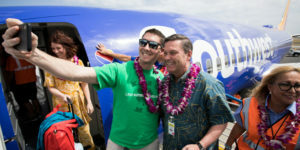 Any plans for SWA to add Seattle to Hawaii flights? Thank you. We have not heard of any plans for Southwest to add Seattle or Portland. I recently found your site and can not thank you enough for how informative it is. I am trying to book a vacation from Denver to Kauai in late June/early July. From what you have seen with Southwest so far, is it advisable to wait to see if they fly to Kauai or should we book to another island and just take an inter island plane over to Kauai? Flights have been increasing so I am nervous to hold out much longer. Thank you! We’ve said everything we know and what we think could happen next. That is, that those flights “should” be announced by the end of April. Sorry we don’t have any more information. Love this site! We are also flying PHX-HNL-KAUAI-PHX, June 3-13. Booked our outbound & return with AA miles because the really good SW deals go so fast. Hoping to get HNL-> Kauai (LIH) thru SW, but best flt times are already gone or $$ on Hawaiian. I have vacation planned to Maui early October, do you know if SWA will have direct flights from Los Angeles to Maui before October? Mahalo for all of this great information! I have a question: we have a trip booked to Maui (condo so far) in June 3-15, but are waiting to see if better rates come up (theyre now in the $600 range). Travelling from San Jose to Maui. Do you think better fares will be available soon during that time period? Yes price could well come down. Big problem in that regard because you are traveling Saturday 6/15, and that day will remain very pricey and could even become unavailable. Thank you for your reply! We can change the return date to Friday vs Saturday. Will that help? Returning on Friday brings it down to $516 nonstop on Hawaiian.